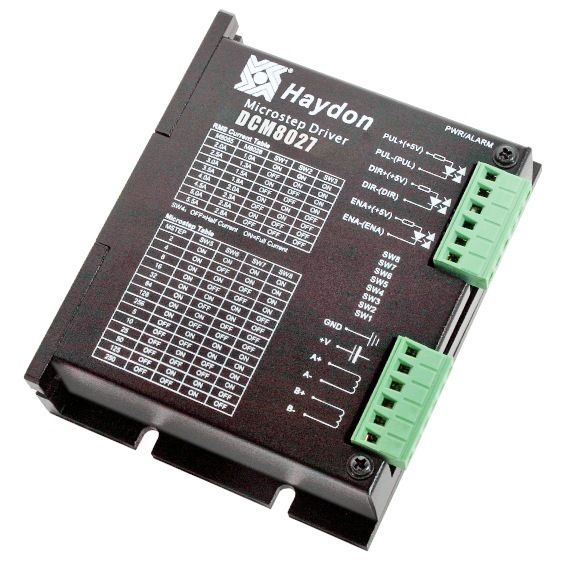 The Haydon Kerk DCM8054/8027 is a fully digital stepper drive developed with advanced DSP control algorithm based on the latest motion control technology. It has achieved a unique level of system smoothness, providing optimal torque and nulls mid‐range instability. Compared with traditional analog drives, DCM8054/8027 can drive a stepper motor at much lower noise, lower heating, and smoother movement. Its unique features make DCM8054/8027 an ideal choice for high performance applications.